For your kind information, this table is about Average weekly household expenditure (£) in the U.K. I give you a moment. Because this is hell of a long table! O.K. Are you finished yet? Did you read every single data (of this table) yet? How long it takes? 20 minutes…3 minutes? By the by, if you are still figuring it out and losing your mind in the jungle of numbers and developing a headache by doing this...follow my next suggestion. 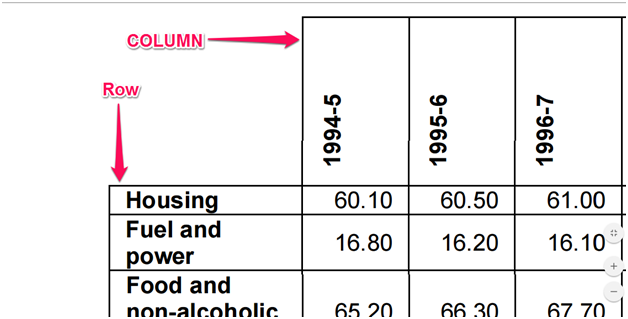 The average expenditure was £60.10 on housing between 1994 and 1995. 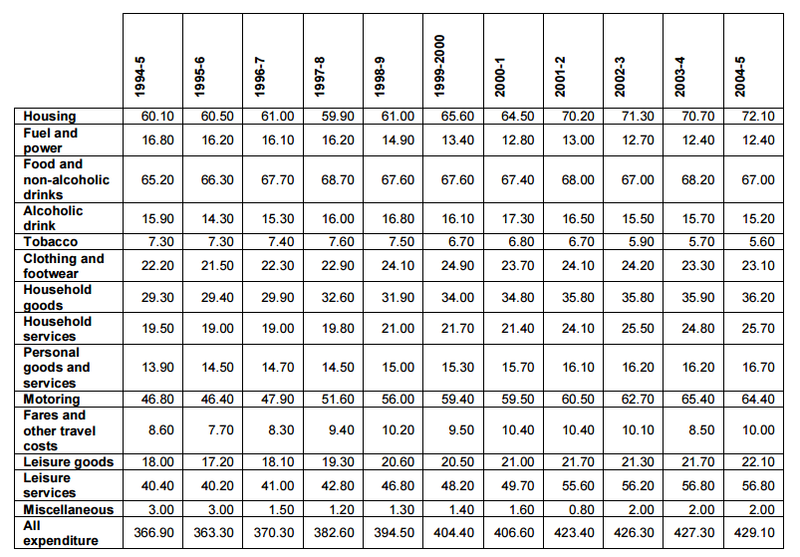 The average expenditure was £16.80 on fuel and power between 1994 and 1995. The average expenditure was £60.50 on housing between 1995 and 1996. Now there are 11 columns and 15 rows in this table. Which means you can write a total 165 (11*15) sentence like my aforementioned examples. 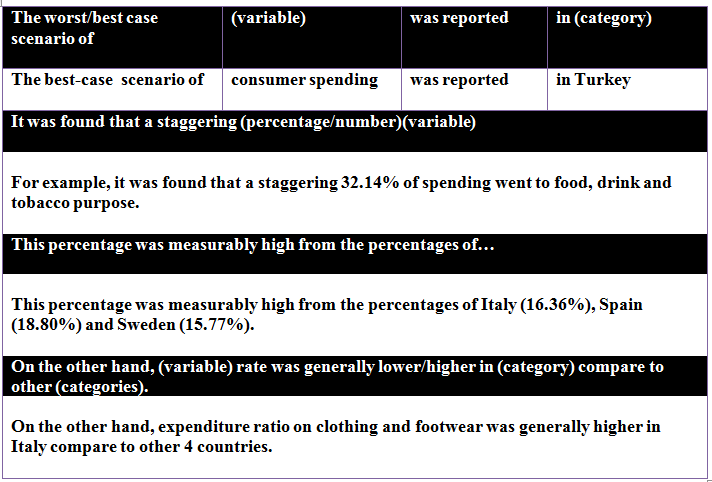 Again, if each sentence contains average 10 words, which means you need to 1650 words to complete the report about this table. But, you can write only 150 words (compare to required 1650 words) in the IELTS test to complete your report. Have you ever wonder, how is it possible to shrink a 1650 words report into 150 words then? But first, let me tell you a story: Once in a while, I was giving a lecture on how to write the Task-1 report. Some people say they like to write about every single data shown on the table. Others say they like to write a report that contains a brief summary of the significant data. Others mention to compare different data sets. Someone usually wants to make personal recommendation after data evaluation. Anyway, after my students are finished, I say to them: “O.K..I`ll give you a round of applause if you can tell me just a single high scoring strategy when it comes to report a table”. “What do you mean by the just right strategy?” they ask. Highlight Data: Discuss eye-catching data in a table like the highest and lowest data. Compare data: Write about any data resemblance or divergence. Structure necessary sentences: Write correct sentence to highlight and compare any data. The Task 1 Table tests your ability to look at and indentify the important information (like significant increase or decrease, excerptions, similarities, dissimilarities between different data) and write a well organized report of at least 150 words. This means that you should not include every detail which is too much information for you to mention. Now, go back to three points I mentioned earlier. The last key point is the real deal where I say: “write correct sentence...”. You see. You can find the highest or lowest data in a table with ease. Moreover, you can notice significant data similarities or dissimilarities fall under different categories. But, how can you write about them if you can`t construct a single sentence. See. I know something about my student. Most of them are hard worker. Hard worker in a sense that I know few of them even took the IELTS test 5-8 times before they seek my guidance. Even I can tell you the story of a folk who took the test 40 times in a row to attain band-7 in each module. Because, he required that score to apply for the Australian permanent residency. Because, they think one day they will overcome, one day they will reach the unknown land of knowledge that will bring them the target band score. And until that..they`ll just keep trying. They say: Thomas Edison made 1,000 unsuccessful attempts at inventing the light bulb. When a reporter asked, "How did it feel to fail 1,000 times?" Edison replied, "I didn’t fail 1,000 times. The light bulb was an invention with 1,000 steps." And you know what? I believe, it`s a lesson none of the IELTS candidate can afford in their life. Because, people give IELTS test to enroll in universities or to get immigration. All these purpose can be feasible at best 10 years for age restrictions. And there are average 40 slots of IELTS tests each year which means a person can take the test 400 times in 10 years. wrong until you are right? What if you could figure a way you could skyrocket your band score without taking a risk? I really have figured out … how to make this scenario come true even for a mediocre IELTS candidate. 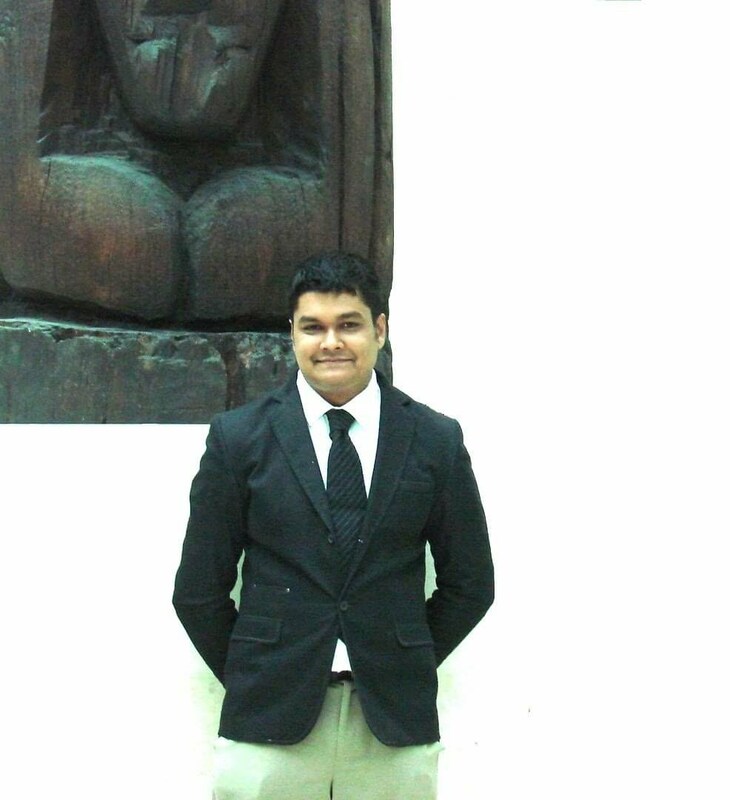 In IELTS HELP , I am going to show you these simple success strategies no one told you about. Every post would be unique and every single idea I share with you would be different. But first, let us discuss the right approach to write a report about a Task-1 table. (But, if you really want to learn all simple strategies to give a top-notch answer about any IELTS writing Task 1 or Task-2 …really fast....then contact me here). I told you so that anyone can read the numbers in a table but a very few can write about those data. And I can`t promise this will not happen to you. You know, people don't always write what they think; but they do nearly always want to write something that they think. You wonder what really makes it hard for the IELTS candidate to write (in sentence) what they think. It is so obvious, so overlooked and so important for your IELTS writing test. In other words, when any candidate look upon a task-1 table, they can all read the numbers but when there is a task of 150 words involved, their fingers may suddenly freeze up. Pay attention if you want to avoid this “freeze up” situation. Because, I am going to teach you something valuable. It is really valuable because it would take years of front-line experience to "program" such thing for any student. I am talking about the Swiss Army Knife Formula to instantly write down about any table within any given time frame. This formula presents some fixed sentences. You just need to hit these plug and play sentences with some little twists. Let me you assure you again. You don't have to guess. You don't have to wonder. You don't have to sweat for it. All You Have To Do Is Keep Reading and follow my instructions! 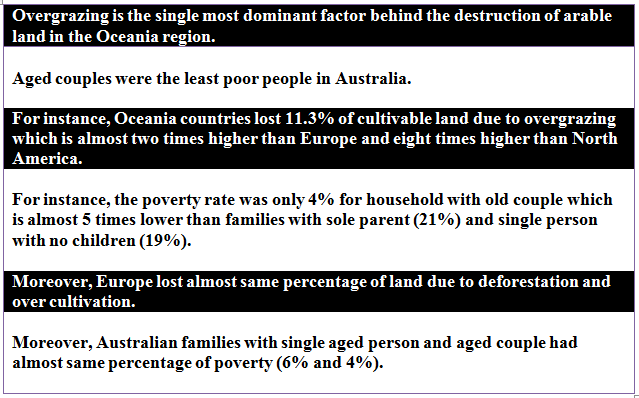 "The table shows the main reasons why agricultural land becomes less productive and how these causes affected three regions of the world during the 1990s." Now, after you write the introduction and overview, you want to write the description-the body of your report. Let me be redundant again. In the body paragraph you need to highlight and compare the data. Here is how you can highlight different data. First, look for the highest and lowest digit in the table. The highest number is: 23 and it represents the total percentage of degraded land in Europe. And, you can see that North America with is in better position with only 5 percent degraded land. Now, shall we put these two observations in our report? The worst case scenerio of land degradation was reported in Europe. It was found that a staggering 23% of agricultural land in Europe become unsuitable for farming. This percentage was measurably high from the percentages of North America (5%) and Oceania (13%). On the other hand, the land degradation rate was generally lower in North America compare to other two countries. It was found that a staggering (percentage/number)(variable). 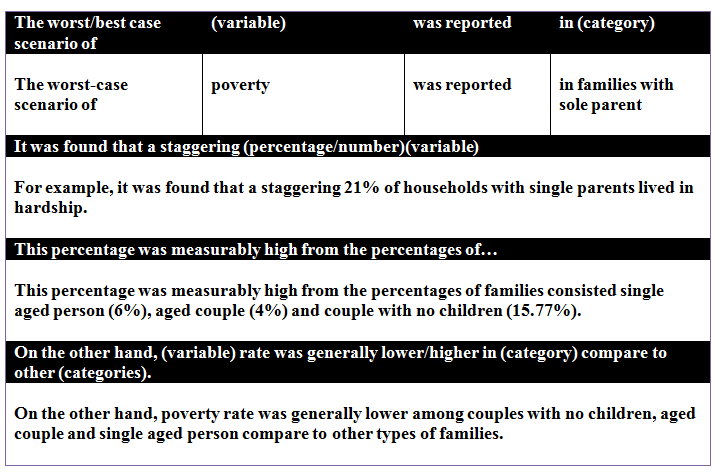 On the other hand, (variable) rate was generally lower in (category) compare to other (categories). And so on. So what? Let me tell you something. I quote this table from the Cambridge IELTS student book 8. The special thing about this book is that all question printed on this book are from ORIGINAL IELTS TEST. They did not create it out of thin air.. neither did I. But, that's not what you really need to know. What you really need to know. are..
Make Your Table Report Writing Easy! Now, you do understand what I mean by the secrets that can make your report writing easy, don't you? By the way, after a long research and trying many methods with my students for the last 10 years, I finally got simple IELTS Writing Templates like this (for task-1 & 2) that really works to get up-to band 7.5. You may still cynical about this. So, what I am going to show you another example from the next Cambridge books series. In this case the example is taken from the Cambridge IELTS Student`s Book 4. I take this from book-4 because after I quote the previous example from Book 7, I could not find any question about table from in series 6 & 5. That means: I am not skipping anything to FIT this FORMULA. And now, with this last example you have finally and truly realize that the best part of this formula is that you can use it in case of any table. We are almost finished but we are not totally finished yet. Well, you know that the requisite of writing body paragraph demand other things. And the thing is to make data comparison(notice it in question where it says: makes necessary comparison where relevant). Do you guess that I can give you another plug and play shot about comparing data? Let`s talk about it. As a general rule in data comparison: you need to identify any similarities and dissimilarities between table data. Remember I told you the best thing you can do for yourself when you try to write comparison is to find degree of difference between data. Well, you can see that Oceania lost the large portion of land (11.3%) for over grazing. This figure is almost 2 times (5.5*2=11) of Europe and 8 times (1.5*8=12) of North America. Overgrazing is the single most dominant factor behind the destruction of arable land in the Oceania region. For instance, Oceanian countries lost 11.3% of cultivable land due to overgrazing which is almost two times higher than Europe and eight times higher than North America. The percentage of agriculture land decline for deforestation was also higher in Europe (4.35 percent) than other countries in 1990s. We won`t mention any degree of difference (like 2 or 4 times higher) here to make our writing less redundant. Moreover, Europe lost almost same percentage of land due to deforestation and over cultivation (9.8% & 7.7% respectively). Now, I am going to use the sentence structure of the above report about comparison in our next example. And this is where it gets really interesting. 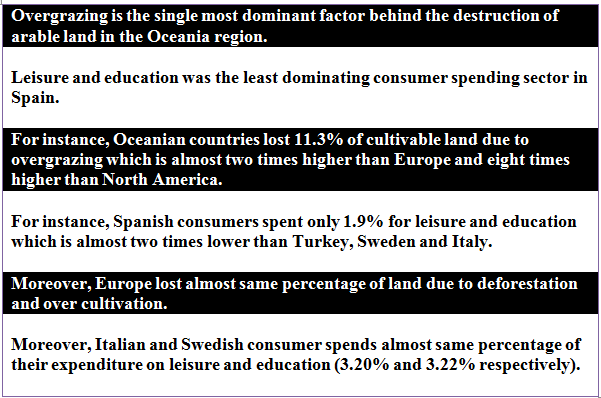 For your kind information, the sentences with black background are from our earlier land degradation table and white background ones are for above consumer spending table. You can see the obvious fact that black and white sentences are almost written in same style. Plus... I also think after you read this example, you need another similar example for your ultimate clearance. So, let`s make another demonstration. Even though you come to this end while reading this post, I wonder, if you are still thinking about battling for ideas to write a report for any IELTS task-1 table. You may realize... without any question whatsoever... that when it comes to writing a report about table, my formula is truly the "500 pound tiger" who can walk through the valley with no fear of failure whatsoever. By the way, I want to know about your experience about using this "one size fits all template" in your table report writing. You can contact me anytime and share your experience. I`ll wait for your feedback.